Laptop Keyboard Issue | MacBook Keypad Not Work Problem Repair | Replacement in Hyderabad and Secunderabad. Laptop Keyboard is Not Working Fix in Hyderabad and Secunderabad. Notebook keyboard keys Problem, MacBook keyboard not work properly, Laptop Keypad Repair at best price. Get your laptop keyboard issues resolved. We render quick and quality service for all brands of your laptop. 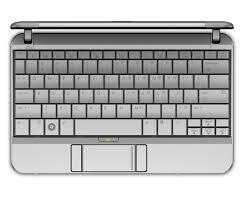 The expert team of Laptop technicians resolves all your laptop Keypad problems. Quick Fix for Laptop Keyboard issues, Like Water Spilt, Liquid Damage, Laptop Keyboard Keys not working, within 1 Hour. We use 100% Original Apple MacBook Keyboard, HP, Dell, Lenovo, Acer, Asus, Toshiba, Sony Vaio Laptop Keyboards at Low Prices, Fast & Free Delivery in Hyderabad and Secunderabad. Compared to other service providers, we are specialized in component level repairing which saves the customer money and resolves the same problem in future. The service charges are claimed with best price with quality service. We fix individual components on the keyboard wherever feasible. Therefore there is no need to purchase the entire keyboard. This saves the customers money.